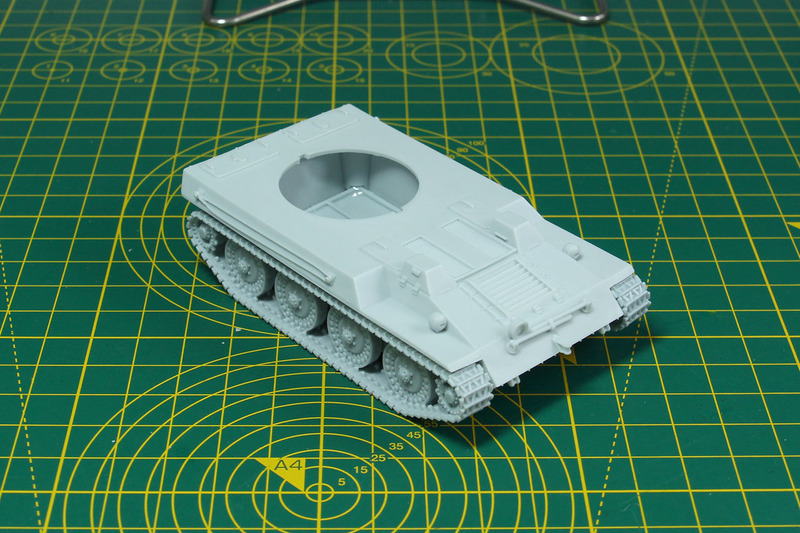 As there are no official rules for this tank in Warlord Games Bolt Action, you could use WWPD Vehicle Design kit or simply use it as an RSO with turret mounted PaK 40 instead of forward facing gun. 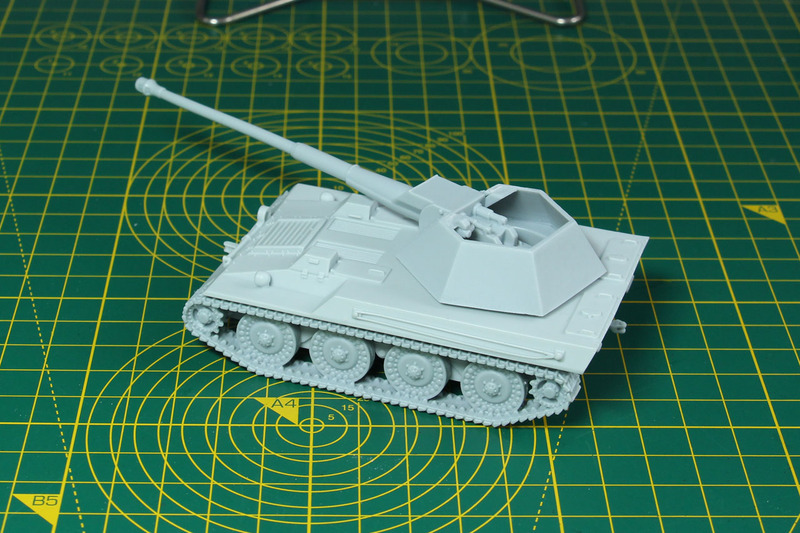 Heer46 sets the price for this resin kit at 25,50 EUR. It is entirely made from resin and not a hybrid kit with metal parts. 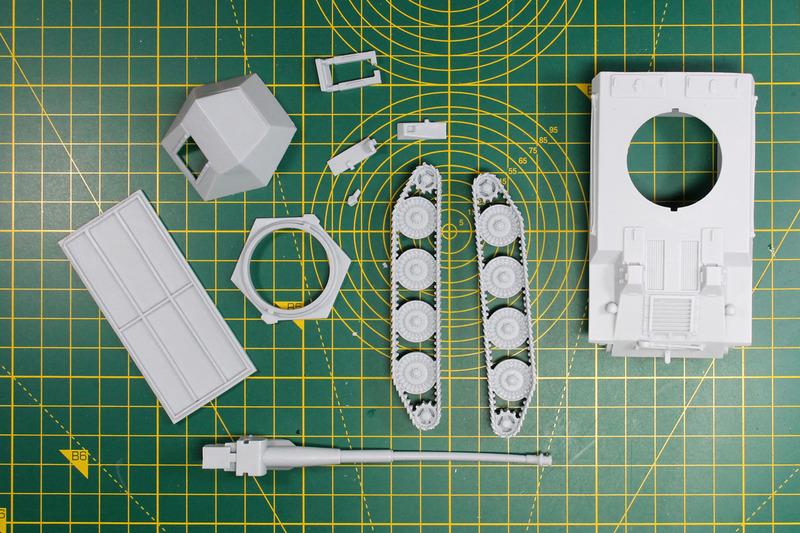 As you can see it consists out of the hull, a floor plate, the track sections, the multi part turret incl. 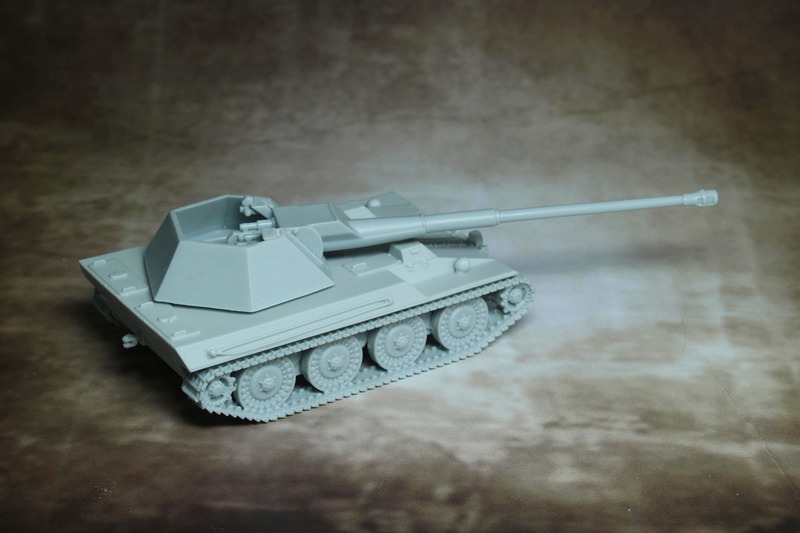 the KwK 43 L71 and an optional roof for the turret. 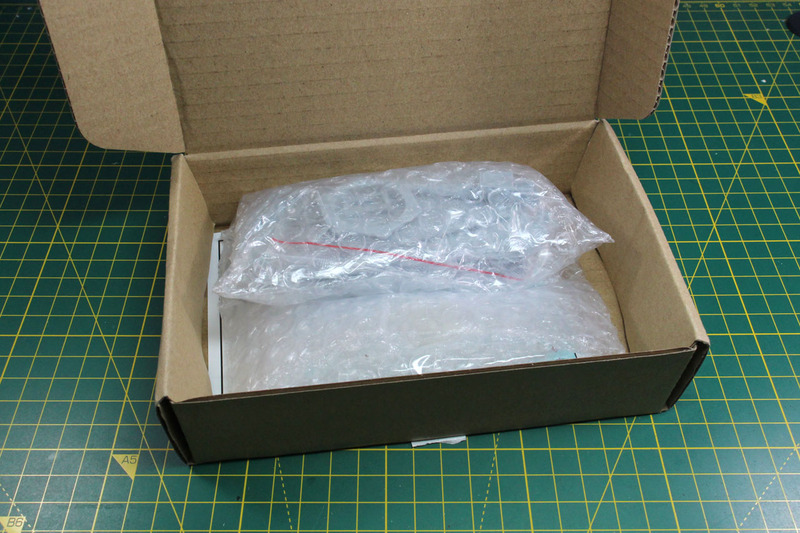 This is a resin kit, so make sure to properly wash the parts before assembly, to ensure there is no detergent left on the parts that may later cause trouble with the paint. For a resin kit this is incredibly well done. A high quality of cast with no air intakes or flash. 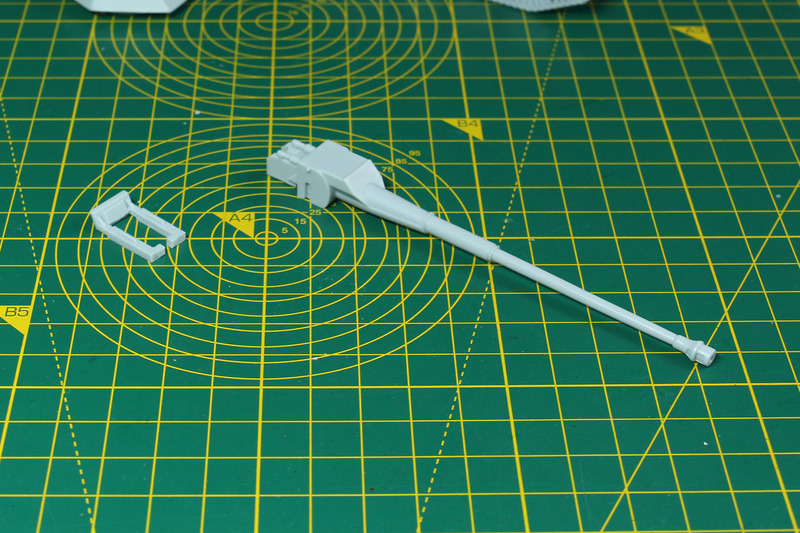 The only thing that I had to do was to reshape the long gun of the KwK 43, as it was slightly bend, which can happen on this kind of parts in resin kits. 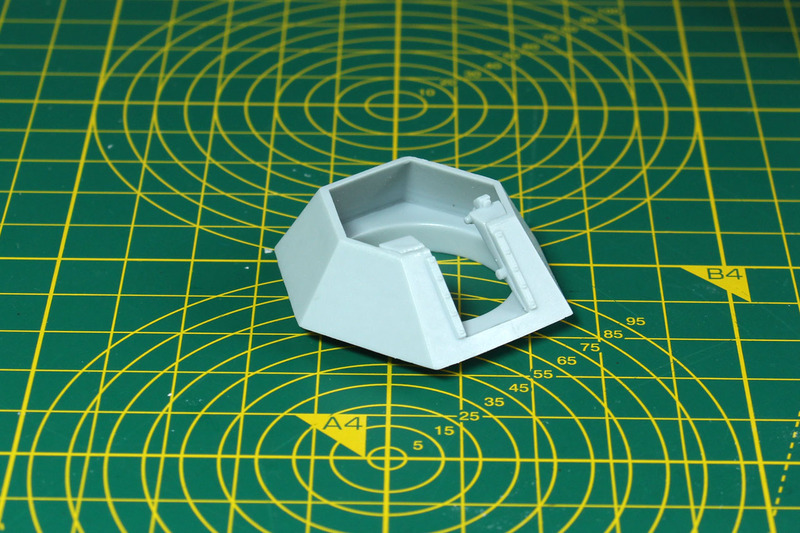 Assembly of the hull is quite simple. 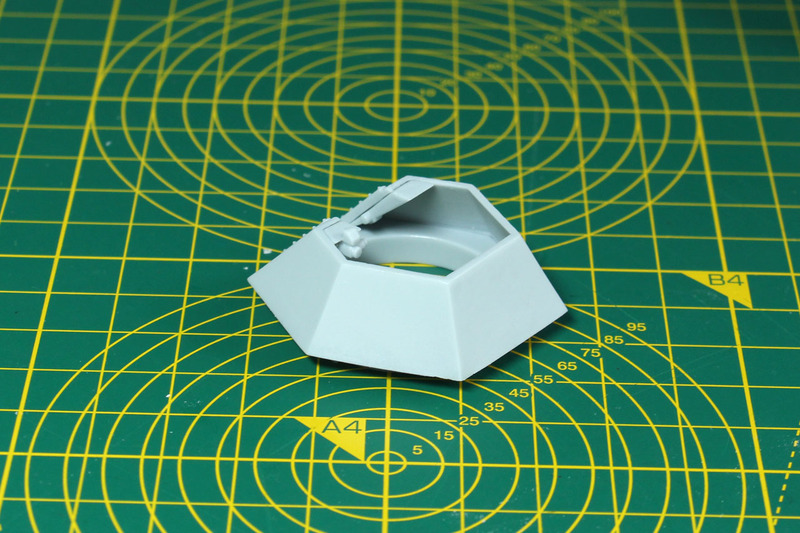 The floor plate is added to the underside of the hull. Nice and easy. The tracks are added to the sides and the towbar added to the back. But I didn't glue the tracks as I want to remove them for easier painting. You can glue them on later. Fit is great and without any hassle. Next up the turret. 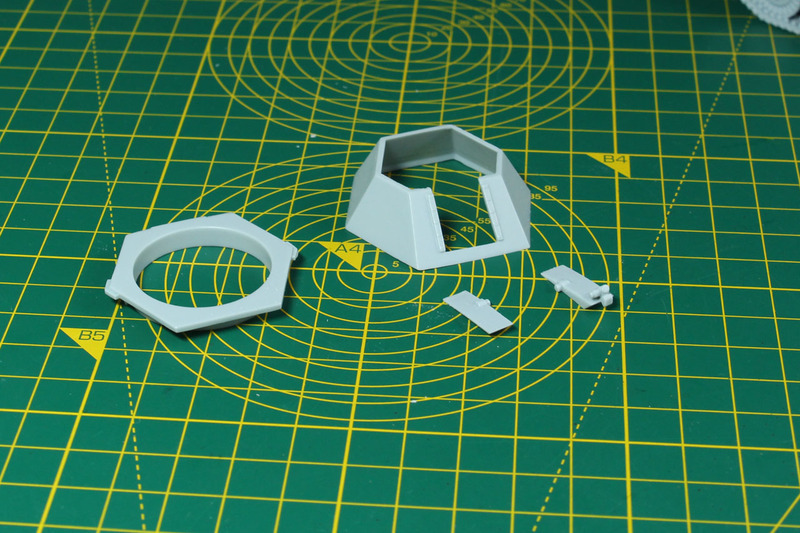 This isn't difficult easier, as long as you understand how the parts are assembled. 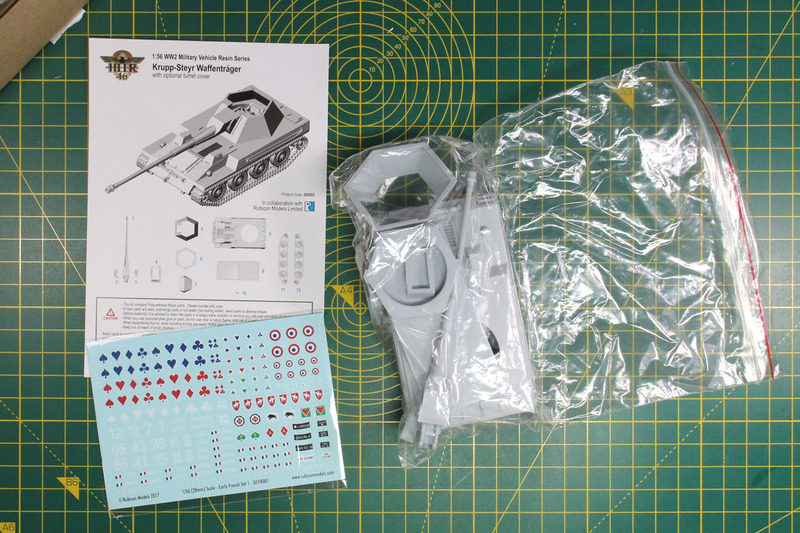 The instructions are rather simplified and do not really show you that the angled guide rails are added to the inside in a way, that the gun is hanging in there. But I hope the pictures show you what you need to do. 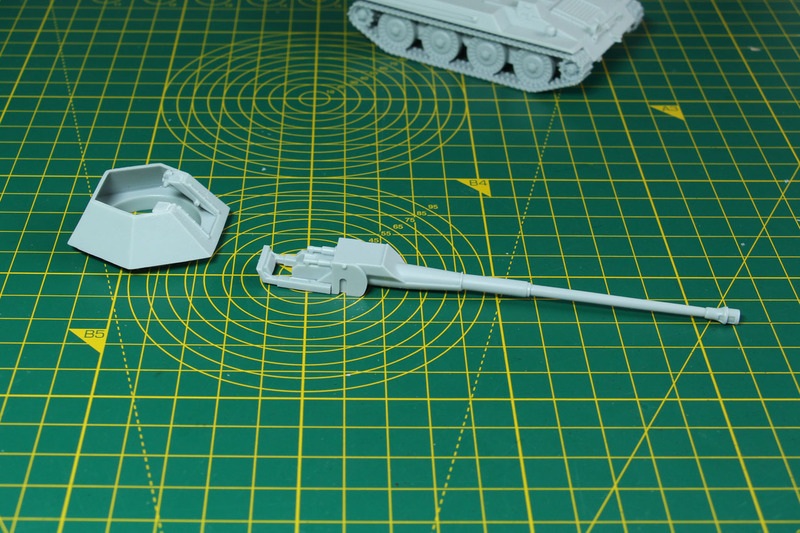 The gun itself just receives the backing of the ammo feed and is then added to the pins on the turret. 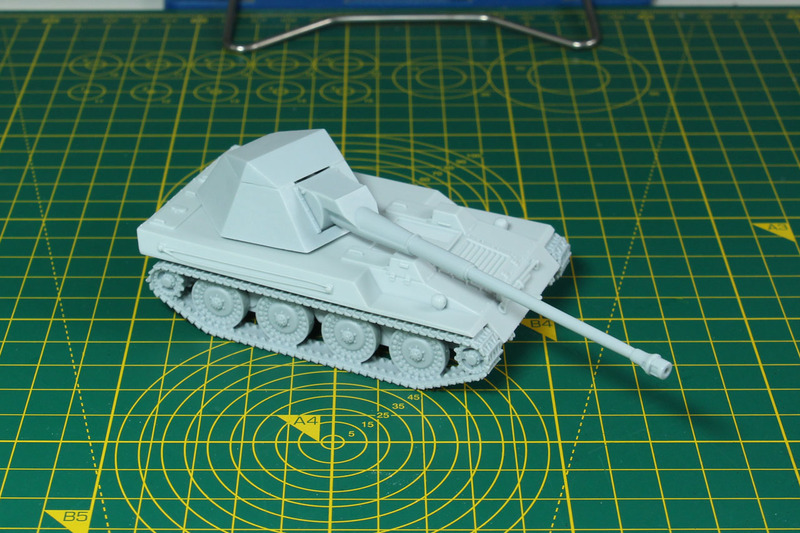 And here is the assembled Krupp-Steyr Waffenträger, with the optional turret cover. Really easy to assembly, no clean up (besides reshaping the gun) and it took maybe 7 minutes incl. letting the glue settle. That could be a new speed record! 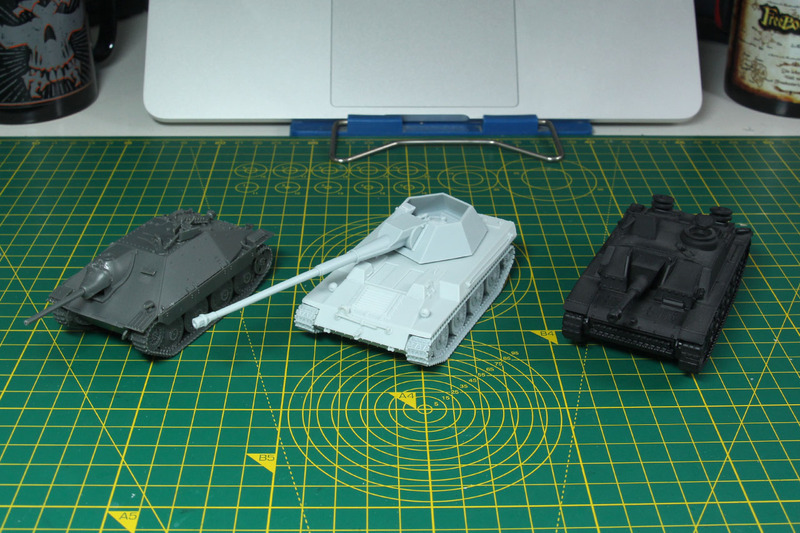 A brief comparison with other compact tank destroyers, the Hetzer and StuG, both kits by Rubicon. And the build tank in all its glory. With a price of 25,50 EUR it is on pair with most of the other resin kits out there. But the production quality is impressive. There was no clean up, no need to cut anything away and there were no impurities or defects on the resin. Just a slight warpage on the gun, as mentioned, but that is so easy to take care with a bit of hot water. 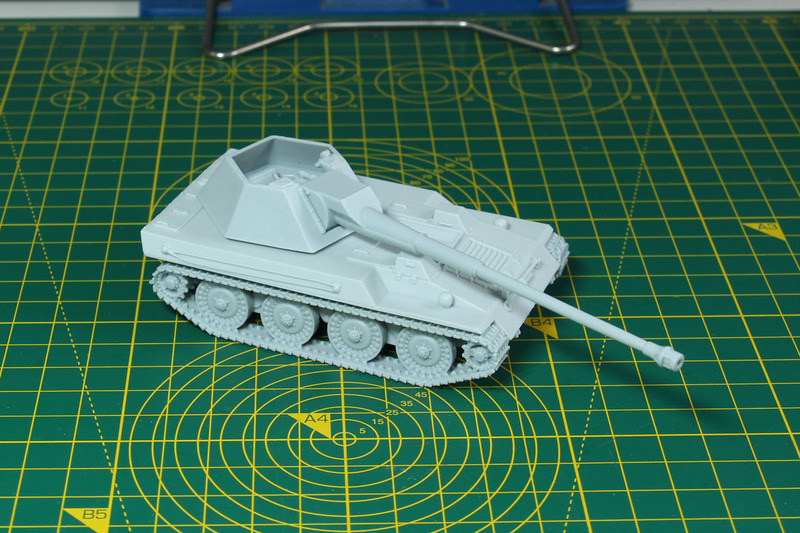 And as I've mentioned in other review, like on the Heer46 PaK 43, it is something that is barely preventable. 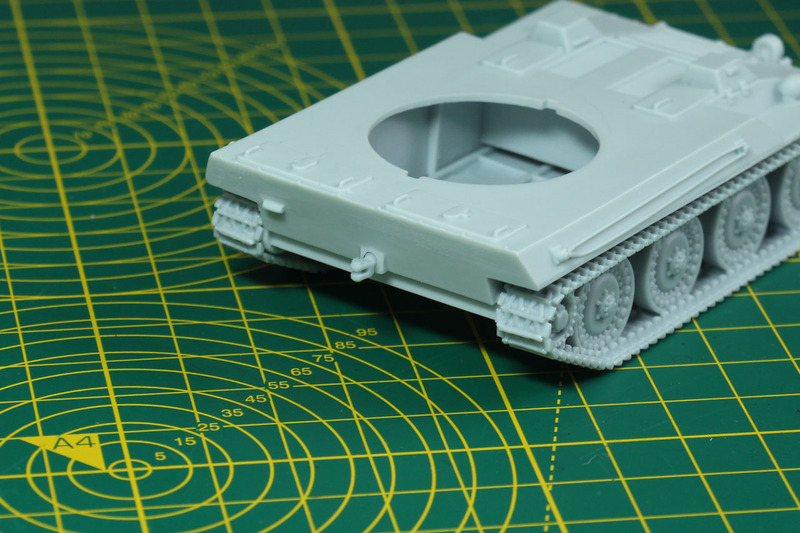 Paintwise any of the late war or even fictional Panzer '46 camouflage will work as a paint job. Red anti-rust primer with a Dunkelgelb gun will too. 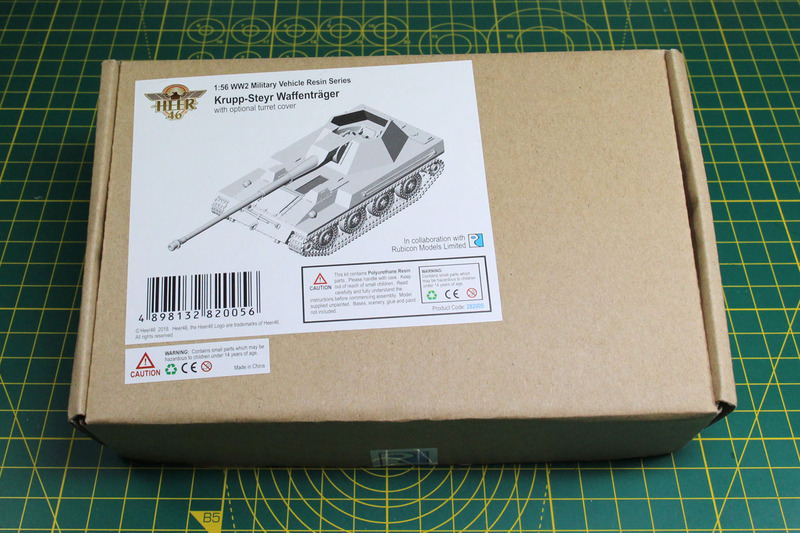 I am a huge fan of the Paper tanks, what-ifs and prototypes and I am happy that we have those available. 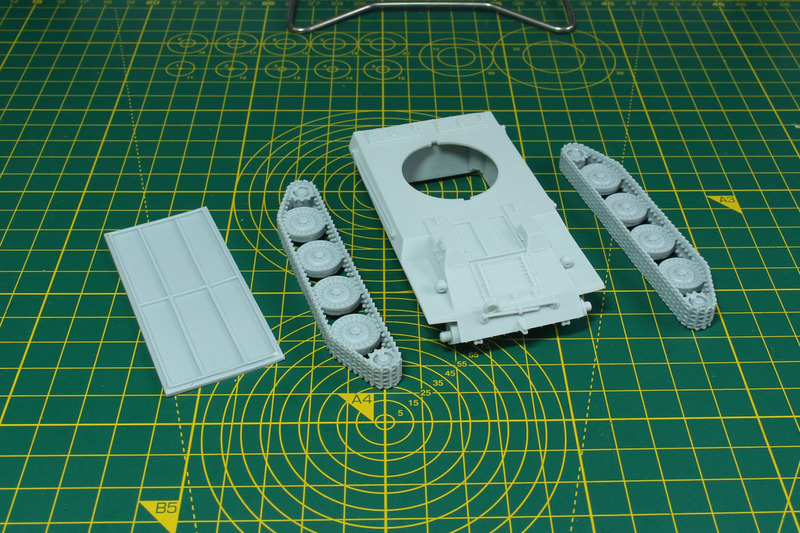 Due to its size and nimble nature, it is something that fits the 28mm platoon sized games better than some of the large beasts that are better known. 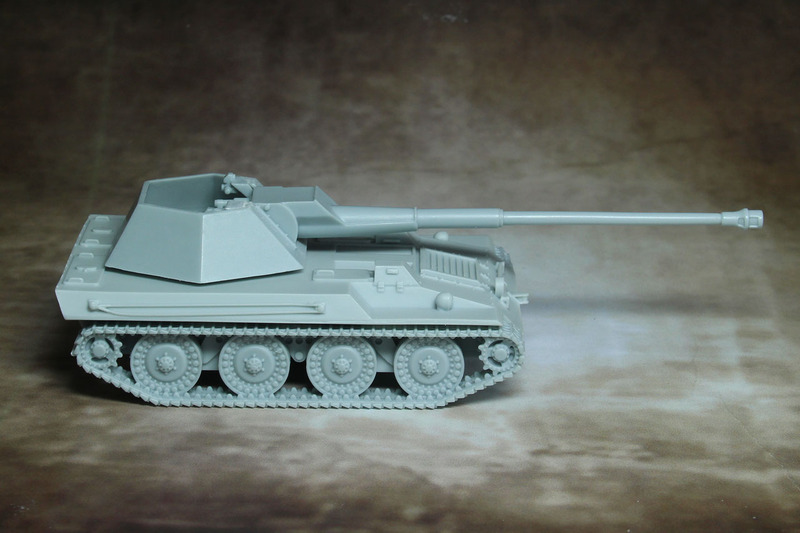 I really hope that the planned E-series in 28mm by Heer46 will have the same quality as this kit. Then it will be a sure success. 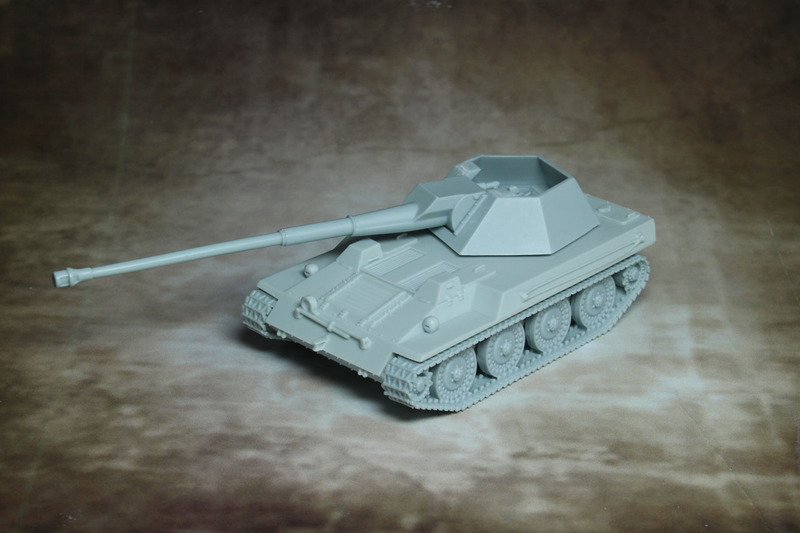 This kit was produced by Heer46 in cooperation with Rubicon Models. Dead Man’s Hand: Outlaws – Part 5 » « More Planes! More Messerschmitts!